Here are ten settings of popular new hymns and songs from Dan Schutte, Michael Joncas, Sebastian Temple, David Haas, Marty Haugen and others. This collection is based upon liturgical songs from the mass that have transcended denominational lines and religious traditions These beautiful and inspiring songs have made their way into Protestant circles and beyond, blessing countless congregations and parishes around the world. 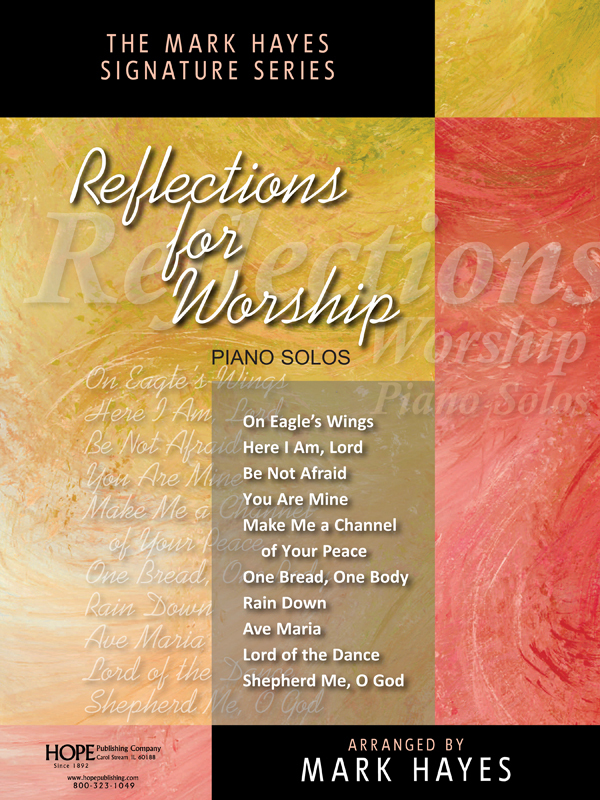 These tasteful settings for solo piano from Mark Hayes give voice to the Psalmist's words, "Let everything that has breath praise the Lord!